You are here: Immigration Vietnam Visa > Questions > Can I apply for Vietnam visa with US green card? My Vietnam passport expired years ago. Can I travel back to Vietnam with a green card and a Vietnam Visa? Yes, you completely can apply for Vietnam visa with US green card. The number on US green card can play the role as that of a valid passport. The procedure to obtain Vietnam visa on arrival is quite simple, just fill out the secure online application form, pay the service fee and wait 2 working days to get Vietnam visa approval letter via email. This letter will help you to pick up your real visa at Vietnam airport. Since you are Vietnamese nationals, you can also apply for 5-year visa exemption certificate. However, in such this case, you still have to leave the country after 90 days of your entry. In order to be granted visa exemption certificate, overseas Vietnamese need to show their foreign-issued permanent residence certificate with 6 months validity since the date of entrance and visa exemption paper granted by Vietnamese appropriate authorities. For more information about this regulation and online application form for exemption certificate, please check out this link: http://mienthithucvk.mofa.gov.vn/Default.aspx?alias=mienthithucvk.mofa.gov.vn/en. I left Vietnam in 1978, as a refugee. I have not been back to Vietnam since. I like to visit for a month in Vietnam. I have a U.S. green card. What documents do i need to fill out and have to travel back to Vietnam and RE-ENTRY to U.S.
Hi, my Tajik passport expired, Can I travel to Vietnam with a green card? How I can get visa ? Also have traveling document. Thanks. I am brazilian with the u.s. green card holder, I will travel to Vietnam in may 2015. What should I do to legally enter Vietnam? If you are Brazilian passport holder, you are eligible to apply for Vietnam visa on arrival. You do not need to use U.S green card to apply for visa. We are traveling to Vietnam and my fiancee’s mom has a US green card only. Do I just put the US green card # in where it wants passport number? You can input US green card number instead of passport number in case you are overseas Vietnamese. Otherwise, you must contact to Vietnam Embassy to arrange Vietnam visa since visa approval letters do not work for applicants who are not Vietnamese origin but holding US green cards. has the laws or rules change regarding the main question. The rule has changed in the way that regular passport number can be replaced with US green card number during online visa application if the applicants are Vietnamese origin only. Hello, I’m green card holder. My Vietnamese passport is still valid. I would like to go back to vietnam for a week. Do I need to apply for vietnam visa in order to go back ? Or I just simply go back to vietnam with my green card and my valid passport ? Thank you! Looking forward to your answer ! Much appreciate it ! If your passport is still valid, you do not need to apply for a visa. However, in case your passport is not anymore in use, you can apply for Vietnam visa with US green card. This regulation is only applied for Vietnamese origin. My mother-in-law has a US Green Card and a Vietnamese Passport. She is currently living in the USA. She wants to travel to Australia to visit her family, what does she need to do? We are Vietnamese travel agency who works on Vietnam visa only. For the procedure regarding to Australian visa, you need to contact to Australian Embassy for further details. Hi my mom was born in Vietnam and has been living in the U.S. For a while. She has a U.S.-issued green card. She doesn’t have a passport. She wants to travel back to Vietnam for a short vacation. Does she need any other documents to enter Vietnam? US green card cannot replace the role of a genuine passport to apply for Vietnam visa. In such this case, your mom is required to contact Vietnam Embassy to renew her Vietnamese passport. Once she get the passport, she does not need to apply for Vietnam visa. I was Reading all the comments but i still want to ask to make sure because i never travel out of the country by myself. I’m Vietnamese and only have a US Green card . Can I just go and aply for a Visa to enter vietnam? Can i still be able to return to the US with my green card? i am planning to go for three weeks this Christmas. ( so only a greenCard and a visa) … i’m not sure if i needed a passport or what exacly to gather. Currently, US green card cannot replace the role of a passport. Since you are Vietnamese, you only need to contact Vietnam Embassy for passport renewal. By such method, you won’t need to apply for Vietnam visa. My parents want to go to Vietnam. They only have their USA green cards. They have no Vietnamese passport. Is it still possible to obtain a visa through you? I am sorry but at the moment US green card number cannot replace an official passport. You either must have a real US passport or renew Vietnam passport to visit Vietnam. My husband has a green card with No expiration date. He did go to renew his green card with finger prints completed. We just have to wait for it to come. However we are planning to go to Vietnam in January. I was wondering if we can still use his old green card to go to Vietnam. He’s been in the US for 30 years. Thank you. 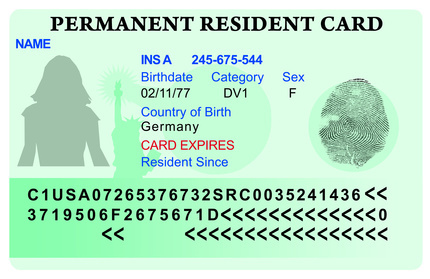 US green card number cannot replace the role of an official passport. Therefore your husband will need to renew Vietnam passport in such this case. Hi, I just got US Citizenship. I have both US passport and Vietnam passport and my Vietnam passport is still valid. Do I need to apply for Vietnam visa when I want to travel to Vietnam for 1 week??? If your Vietnam passport is still valid, you do not need to apply for Vietnam visa in such this case. Also, US green card number cannot replace the role of an official passport. For Vietnamese overseas, in case your Vietnam passport goes to expire, you need to come to Vietnam Embassy for renewal. Can I apply for 3 month Vietnam visa if I am an Indian citizen?